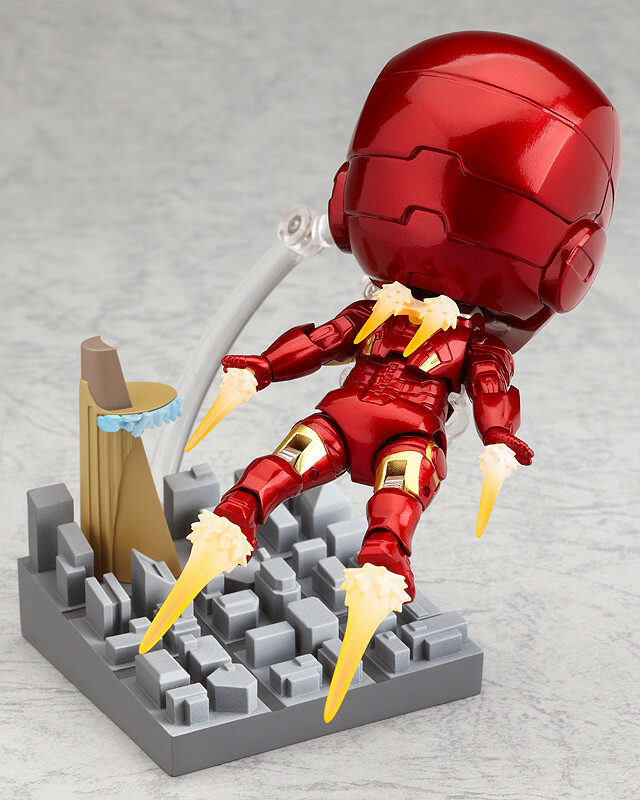 The hero who forges his own path! 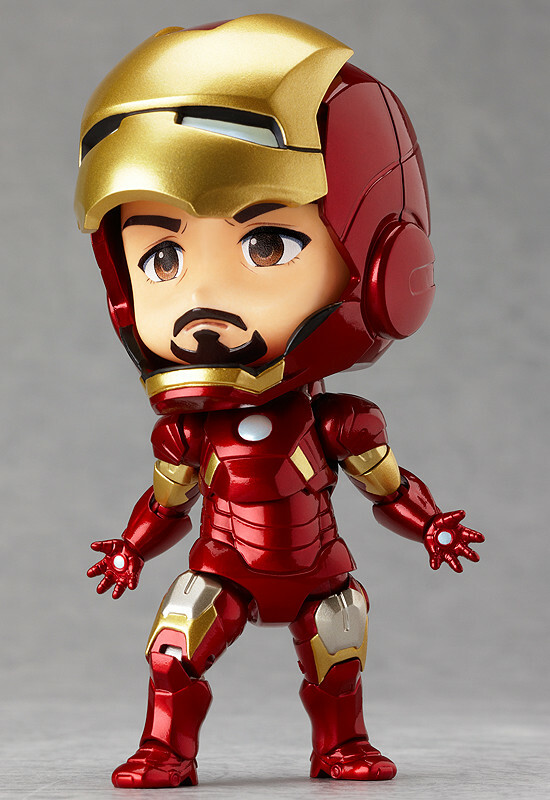 From the worldwide hit film 'The Avengers' comes a fully articulated Nendoroid of Iron Man - the hero that industrialist billionaire Tony Stark becomes whenever he puts on his powerful armored suit. 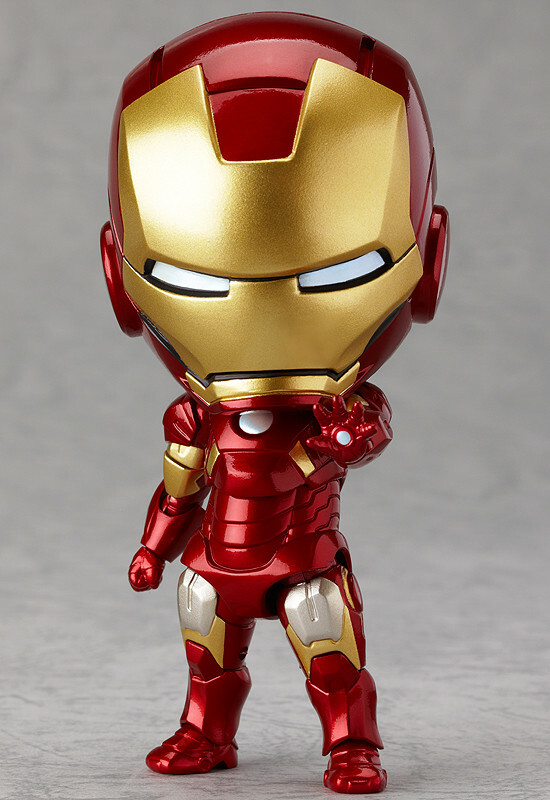 The unique metallic look of the Iron Man suit has been faithfully recreated in Nendoroid form for fans to enjoy! 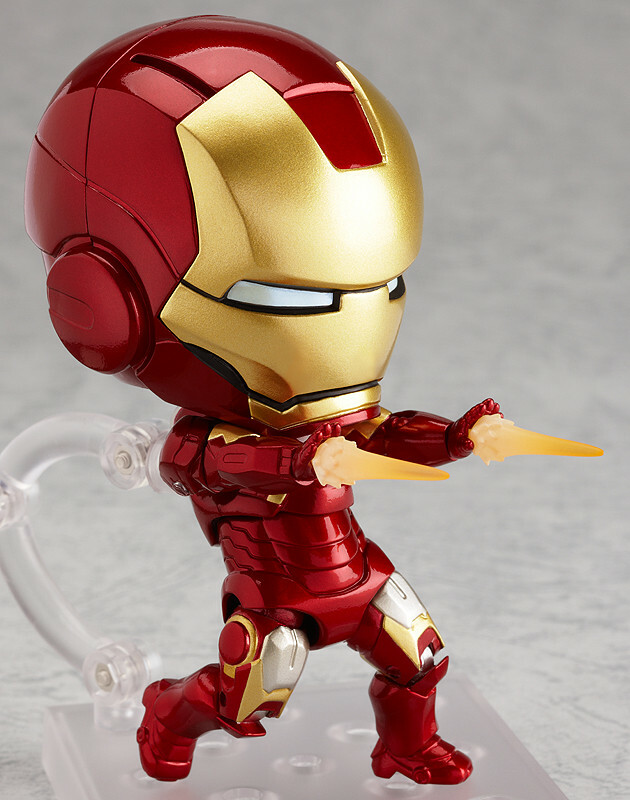 You can choose to display him with either a closed or open helmet, and a number of booster effect parts are also included to easily pose him in combat scenes. 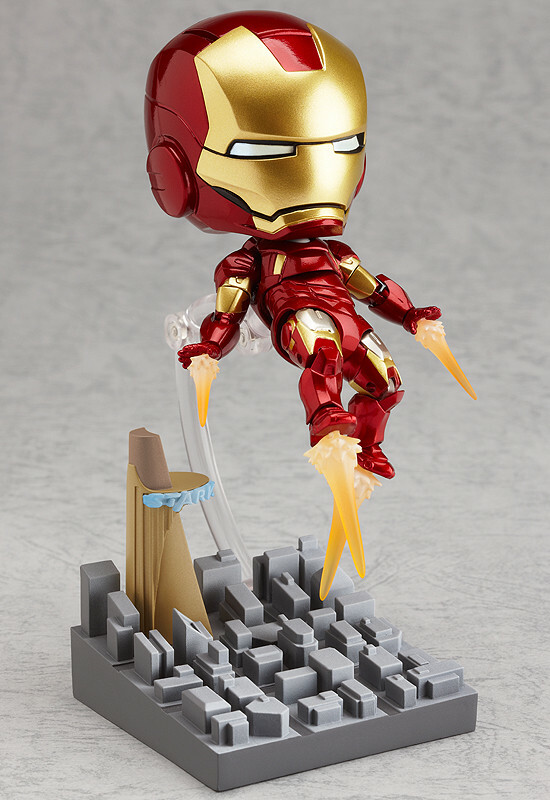 He also comes with a special dioramic pedestal to display him flying above the city!